Sunglasses are standard equipment for many of our rigorous outdoor activities: backyard BBQ-ing, looking for fried clams, and top-down driving. 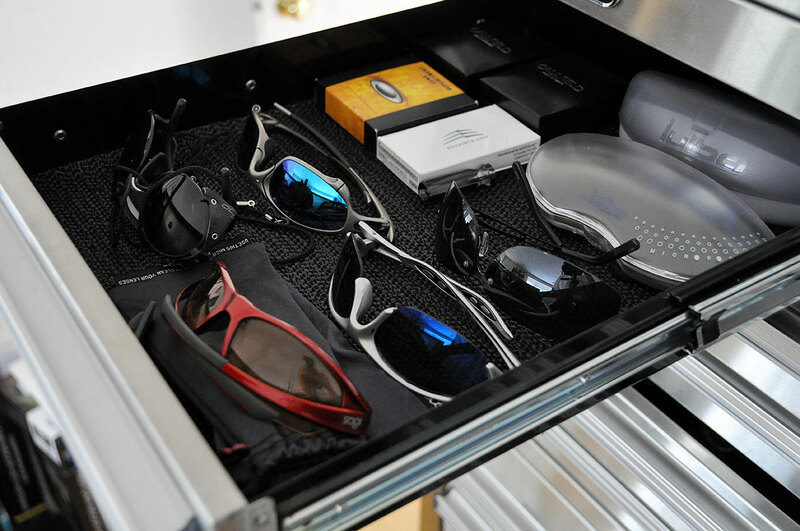 To those ends, we have reviewed quite a few pairs of sunglasses (180s, Oakleys, etc…), especially the ones with more than just great looks. The three greatest sunglass innovations were probably: polarization (for glare reduction), polycarbonate (for strength), and photochromic lenses (for auto-darkening). It has been a while since we have seen something new under the sun (excuse the pun) when it comes to sunglass technology. Traditional light-sensitive lenses are actually responding to the amount of UV light. This was fine as UV light is usually mixed with visible light in most situations. However, this is NOT true when driving some modern cars, because some modern windshields have a built-in filter for UV light. The UV filter helps extend the life of the dash material and protects the color of interior. This is great for the car, but messes with the light sensitivity of certain photochromic lenses. This was why our interest was piqued when we heard about Julbo’s new sunglasses made using NXT-based photochromic lenses which change based on the amount of visible light. NXT is lighter and stronger than Polycarbonate. NXT is free of stress with superior optics. The creators of the Falcon lens have, by integrating the photochromic pigments into the NXT material, created a light sensitive lens which is more than just a dye coating on the surface. This layer will not scratch off, react to chemicals, or be affected by changes in temperature. Unlike UV-activated photochromics, the Falcon lens’ darkening ability is not affected by the UV filtering of the windshield. Julbo calls this “Behind The Windshield” (BTW) technology as it will react to visible light coming in through the windshield. Depending on the amount of light, the Falcon lens will block between 80% to 91% of the light. Since the reaction is activated by visible light, the change in color density of the lens is the same whether it is in direct sunlight or behind the windshield of a car. 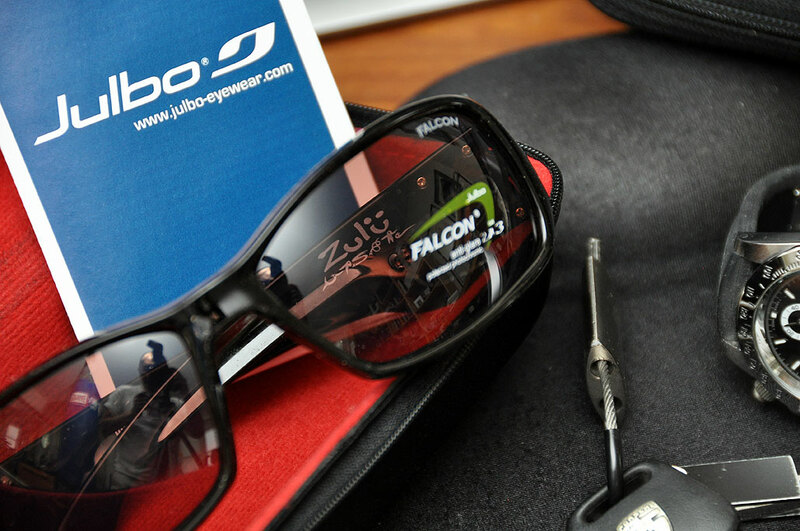 The Falcon lenses are exclusive to Julbo for now, but will no doubt be available to other sunglass makers in the future. The Julbo Zulu is the only one in the Julbo line with the Falcon lens at this time. However, Julbo will likely offer this option in their other styles soon. We are looking forward to giving these Zulu sunglasses a full top-down test the next few months. We will report back in the Fall on how they fare InTheWild.